My wife made some great chicken sandwiches a few weeks ago using a Tequila-Lime-Cilantro marinade. They were very good, but I think they were a little too “limey” for my taste. 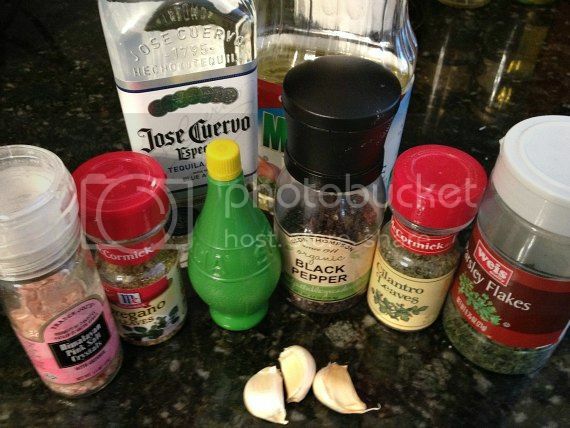 So I figured I would make my own marinade because I have been thinking about those sandwiches for weeks. 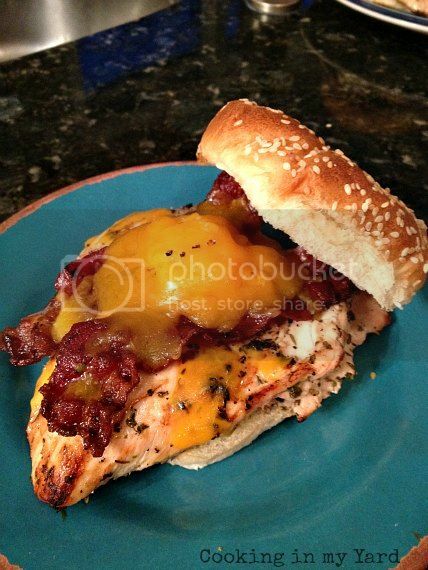 I know I may be a bit biased, but these Bacon Cheddar Grilled Chicken Sandwiches just may be the best grilled chicken sandwich I have ever eaten. I know, that is a big claim. But try them and let me know what you think. You won’t be sorry. I played around with some ingredients, and here is a picture of the ones that made the final cut. Pretty simple. Some tequila, oil, salt, pepper, lime juice, a few other things. And my favorite ingredient, garlic. Is there anything that is not better with garlic? Well now that I think about it, a glass of milk is probably not better with garlic. Ice cream too. But other than those two, its a safe bet that everything else on the planet is better with garlic. I wanted these sandwiches to be thin because I had some toppings that need to fit under the bun. So I butterflied the chicken breasts by flat slicing them through the middle and folding them over flat. Once you thin the chicken breast out you really need to be careful of cooking time. 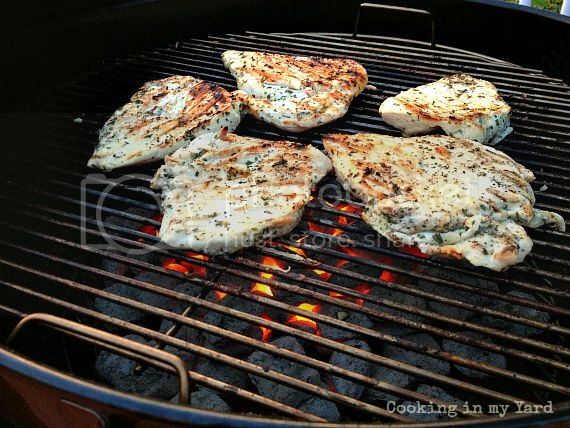 Flat chicken breasts on a hot fire will dry out quickly. Then I threw the chicken into a Ziploc freezer bag, I like the freezer bags because they don’t leak, and then I added the marinade to the Ziploc bag. I then closed the bag, mixed it around to make sure every part of the chicken was covered, and then I put it into a bowl. I then put the bowl in the fridge for a few hours. Oh I almost forgot to mention, did you notice the counters in the above photo? Not those plywood counters I had when I posted pics of the Vinegar Pepper Pork Chops. Granite is way better than plywood for kitchen counters. Much easier to clean too. And I also noticed I don’t get those looks from my wife every single time she has to use the plywood counters. So it’s all good now! Speaking of counters, the kitchen remodel is going well. Here is the latest picture of my progress. Since the recipe calls for bacon, I figured I would cook it on the grill, while the coals heat up. 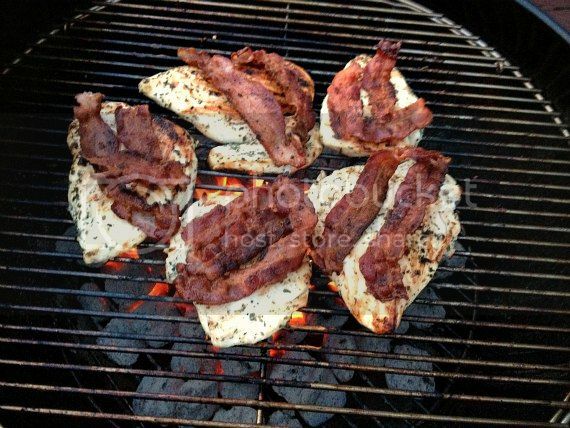 By the time the bacon was finished, the coals were ready for the chicken. I cooked the chicken for a few minutes on each side. Then added bacon. Then added cheddar cheese. And closed the cover so it melted. The cheese melted up nicely. By this point the chicken is smelling really good. Really good. I served the chicken on some soft sesame rolls and we all sat down to dinner. I ate a sandwich. Then ate a second one. 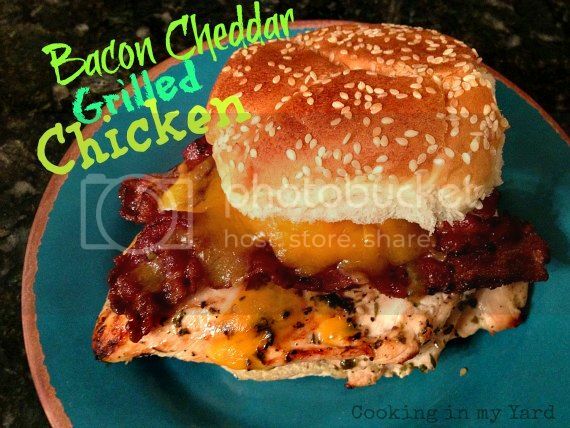 Mix all ingredients, except chicken, bacon, cheese, and sesame rolls in a small bowl. 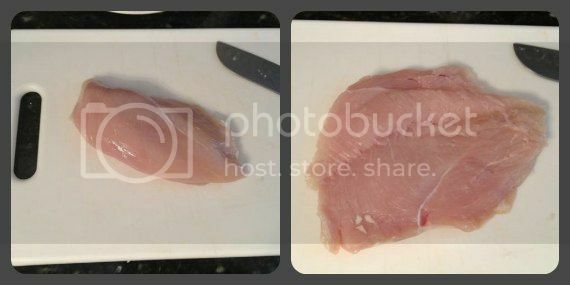 rinse off chicken breasts, remove any excessive fat, then place chicken on cutting board and carefully flat slice or butterfly the chicken breasts. You can also buy thin cut chicken breasts and avoid this step. 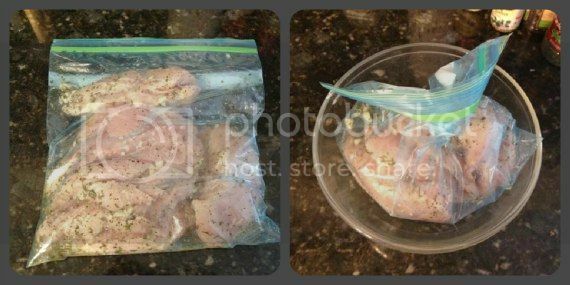 Place chicken breasts into 1 gallon ziploc bag, add marinade to bag. Close bag, place it in a bowl, and put it in the fridge for a few hours, or overnight. 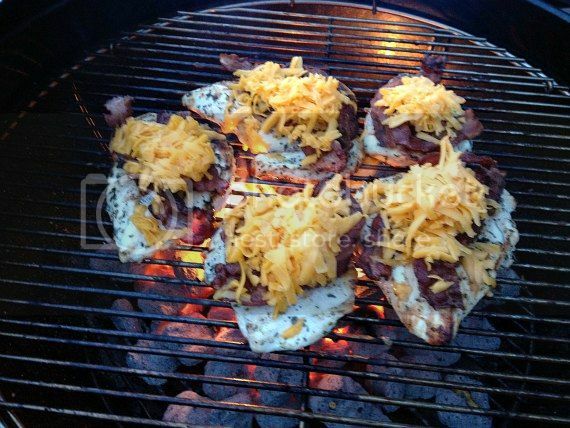 Fry up the bacon to your favorite bacon doneness level on the grill or on your stove. 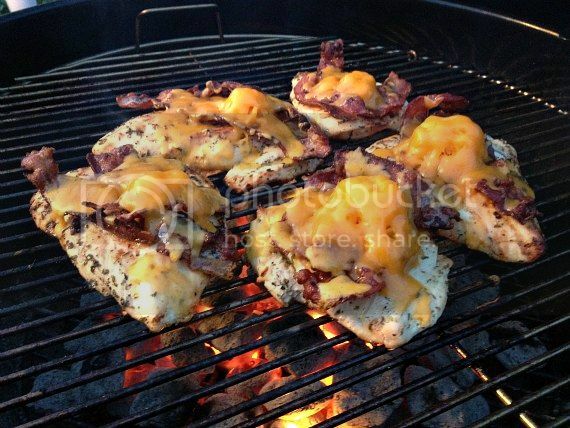 While the chicken is still on the grill, add bacon, then cheddar cheese. Cover gril for a minute or until the cheese melts. Serve the chicken on a soft sesame roll. 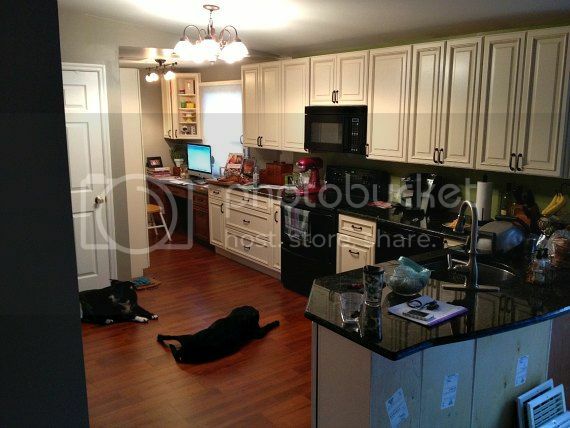 Your kitchen looks absolutely gorgeous!! And I would love about four of those sandwiches!! They look amazing! !